The respected journal Nature recently published a study on breast cancer that was alarming. The article is called “Glucocorticoids promote breast cancer metastasis”. Experts expect 268,600 new cases of breast cancer in 2019. Those individuals fighting breast cancer must be aware of this new information. Unfortunately, this finding is just one more study among a string of other concerns that increase the risk for breast cancer. In the March 2019 study, scientists studied human breast cancer cells in mice and treated them with glucocorticoids. They measured the reaction of glucocorticoid receptors in response to the steroid treatment. What they found in the case of breast cancer and prescription dose corticosteroid intake was startling and troubling. Prescription steroids are used during breast cancer treatment in an attempt to manage inflammation and other concerns of the illness. Steroids are knowns for many adverse effects, but this study shows another harmful aspect. Results revealed in this study demonstrate that in breast cancer, glucocorticoid treatment raises the concern of further spreading of cancer with life threatening risks. Receptor sites for glucocorticoids (steroids) are found throughout the body. Their job is to work with stress hormones produced by the body. This is normal function. These same receptor sites are used when steroids are given as a prescription. Cortisol, which is a glucocorticoid, is naturally produced in the body by the adrenal cortex. Glucocorticoids are essential for life as they are involved with day to day cellular functions with the homeostasis, immune, metabolism, brain, cardiovascular, and blood sugar. We need these steroid hormones to function. Prescription doses of glucocorticoids are generally much higher than the daily physiological dose released by the adrenal glands in a eustress/normal stress state. As you reflect on this study, thoughts may naturally progress to the concern of the total stress load, cortisol levels and how it might affect the balance between manageable, normal versus excess for your body. Individuals facing any type of serious medical concern or even high levels of chronic life stress must have a safety net in place to help with high stress, worry, and anxiousness. These feelings may reflect higher stress inflammation and cortisol levels. If stress levels are high, then support for relaxation, stress reduction, rest and a return to homeostasis must occur. Glucocorticoids are corticosteroids, a class of steroid hormones. Glucocorticoid drugs include beclomethasone, betamethasone, budesonide, cortisone, dexamethasone, hydrocortisone, methylprednisone, prednisolone, prednisone, and triamcinolone. Brand names for glucocorticoids include Aristocort, Bubbli-Pred, Celestone, Cortone Acetate, Cotolone, Decadron, Deltasone, Dexamethasone Intensol, Emflaza, Entocort EC, Florinef Acetate, Medrol, Methylpred-DP, Prednicot, and Prelone. These medication are used to treat numerous concerns like autoimmune disorders, adrenal insufficiency, allergies and asthma, multiple sclerosis, and severe infections, etc. CDC statistics show except for some types of skin cancer, breast cancer is the most common cancer in women regardless of race or ethnicity. It is the most common cancer cause death for Hispanic women and the second most common cause of cancer deaths for Caucasian, black, Asian/Pacific Islander, and American Indian/Alaska Native women. Statistics from BreastCancer.org show that about 1 in 8 women in the US will develop invasive breast cancer in their lifetime. It is estimated for 2019 that 30 percent of all new cancers in women will be breast cancer. 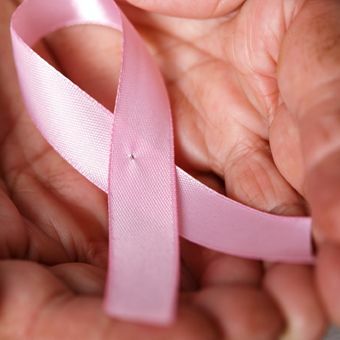 Men are also at risk for breast cancer with an anticipated 2,700 new cases diagnosed in 2019. This should be a wake-up call for everyone. This means that diet, lifestyle, environmental toxins, and other external factors play an enormous role in cancer onset. In the case of the study cited above, we now see that glucocorticoids used in breast cancer treatments is a cause and hastens disease progression. What you put into or expose your body to day after day as food, beverages, water, smoking, drinking, medications or other street drugs, pesticides/herbicides/Round-up, cosmetics, plastics, petroleum-based products, and physical activity etc. is either helpful or harmful. Everyone has cancer cells in them at this moment and will into the future. The issue is – how well can your body manage the daily repair and removal of cells that have been damaged. Individually and collectively as a society, we must make healthy choices each and every day. Here are some additional resources for your perusal.